My New England seafood supper is lost over Tennessee. Two dozen herring, nine kilograms of squid, and a bushel of blue mussels are circling in a thunderstorm over FedEx’s hub in Memphis. If the FedEx pilots manage to land, all that seafood just might make a northbound connecting flight back to New England, where it was all originally harvested. Eventually, fingers crossed, it will find its way onto a truck whereby it will end up at the cabin I’ve rented for my vacation on Deer Isle, Maine. That’s my hope, anyway. I planned dinner for 7 p.m. for a group of old-school Yankee neighbors. I promised them three radically new summer seafood sandwiches. I’ve now been promising these sandwiches for two days, and still the seafood hasn’t arrived. FedEx swears the re-delivery will come at 4:30 p.m. The Yankees are getting hungry and, in their impatience, are rigging their sloops for a little sailing. By 4:07 p.m., there’s no FedEx truck in sight. That all these convolutions are necessary just to put a New England seafood dinner on the table in New England is part of my point. Even though the United States controls more ocean than any nation on Earth and is the world’s third largest consumer of fish and shellfish, Americans import 90 percent of their seafood. Meanwhile, the United States exports over a billion kilograms of its own wild fish and shellfish—often to the very same nations that it receives imports from. Being a locavore on land is easier and easier these days. But at sea, it’s still pretty darn complicated. But in all fairness, the meal I’ve planned is particularly difficult to source. I’ve designed three sustainable sandwiches involving marine life that has a hard time making it to American tables. First up will be a revision of the classic Maine lobster roll. Instead of lobster, though, I’ll create a herring roll. Why herring? Because even though lobster is abundant and is an extremely well-managed species, its healthy population is, in part, dependent on a weird human-driven ecosystem we’ve engineered in the Gulf of Maine. Every year, something like 70 percent of the millions of kilograms of Maine herring caught goes into traps as lobster bait. All that bait in the water not only attracts adult lobsters into traps but also feeds juvenile lobsters outside the traps’ slats, creating what amounts to a lobster farm. So why not eat herring directly? Before Maine lost its herring canning plants in the 1980s, the fish was often eaten; herring have extremely high levels of omega-3 fatty acid and require relatively little fuel to bring to dock. Thus, a Maine herring roll. Next up will be a squid sloppy joe. Squid is another extremely common animal we find off New England’s shores, but it is rarely available fresh in our fish markets. Like herring, it is often used as bait. What we do eat directly comes to us through a truly bizarre transport system that makes my Tennessee-waylaid FedEx delivery seem downright direct. New England squid is typically caught off Massachusetts and Rhode Island, frozen whole, shipped to China, defrosted, cleaned and ringed, refrozen, and sent back to us as a twice-frozen product. My plan for this sandwich is that I will do the processing myself. And what better sandwich than the highly processed and familiar sloppy joe—that high-school cafeteria mainstay typically made from carbon-intensive industrial beef and spooned over a stale bun. If I process it myself, I’ll save the world that trip to China and produce a truly low-carbon, high-omega-3 sandwich. Finally, I’ll do a mussel poor boy. Anyone who has ever traveled to the American South knows that the oyster poor boy is among one of the most classic and delicious seafood sandwiches on Earth. Shucked and fried and slapped on a hunk of French bread with luscious amounts of mayonnaise, oysters in this form sing of the sea. And, again, oysters are often a perfectly sustainable seafood choice. Oysters, like all bivalves, filter tremendous amounts of water, provide habitat for other seafood, and—unlike farmed salmon and other marine carnivores—require no wild fish as feed. But who out there is capable of shucking the 30-odd oysters needed to amass enough meat for a dinner party? And who wants to fork over the buck per oyster necessary to accrue such a stash of meat? No, for a poor boy to be true to its name, I need another farmed filter feeder. Mussels, which typically sell for under 25 cents a piece, seem the ticket. But all this was hard to track down in Maine. Herring are caught locally, but around half the Maine catch is brought to shore far to the south in Massachusetts and then trucked back up only after the fish have become old and fetid. Fresh squid are a rarity since so much is processed abroad. And local mussels are hard to find in grit-free farmed form. The United States ranks 15th in the world for aquaculture production, but most farmed mussels consumed here come from other countries. So for all of this, I have to rely on the seafood wholesaler Sea to Table. They promised they’d find it all, box it up, and send it to me. Then something went wrong over Tennessee. By 4:17 p.m. on Thursday afternoon, some of the Yankees who I’ve promised seafood sandwiches to give up completely and begin tacking their boats in the bay. I hang my head low until I hear a cry come from one of the yar little vessels: “Seafood ho!” The FedEx truck has been spotted coming around the cove. Not one but two huge boxes of seafood come off the truck. Sea to Table sent an extra 22.5 kilograms of seafood, just in case. “These are heavy, ahnt they?” says the FedEx man in a thick Maine accent. “You could probably catch those right heah in the bay.” He laughs and bids his goodbyes. I take off my shirt and open all the cabin windows and doors. I eye the cheap two-liter bottle of Pinot Grigio in the fridge but think better of it. I need my wits about me. Bedtime up in Deer Isle is early. Supper cannot be late. I start first with the herring. I quickly scale and gut them, salt them inside and out, stuff the gut cavities with celery, and place them on the top rack of the broiler. The famed American seafood-chef Rick Moonen advised me “herring need flavor” and suggested I prepare a curry mayonnaise. But I decided that the Yankees would balk at that. Instead, when I take out the herring, now crisped and blackened from the broiler, I remove the celery, dice it, toss it in mayonnaise, and then wait for the herring to cool. Next, I set the mussels to steam, not enough to cook through but enough so that I can pry them open. Five minutes later, I’m pulling mussel meat and tossing it in a mixture of egg, milk, and turmeric that I’ve mixed together with an ancient rental-cottage eggbeater. I throw a cup of corn flour in a ziplock bag and then dump in the mussels, shake the bag, and set the mussels to deep fry in the only sizable rental-cottage pot: a wok. I check the French bread I popped into the oven earlier, which the New Orleans seafood-chef Poppy Tooker advised me was mandatory for a poor boy, and throw the finished loaves on the counter. I’m no Frenchman, so I used a bread formula for an easy and quality bread from Samuel Fromartz’s In Search of the Perfect Loaf. Last, I deal with the squid. I separate the tentacles from the squid’s head, remove its beak, scrape the skin from the tubes, and then reach in and pull out the bizarre backbone, which I would have sworn was a clear piece of industrial plastic if I hadn’t just pulled it from the inside of a squid. I do this six times with the six squid I need for the dinner and make a complete and total mess. “No wonder they clean this stuff half way around the world,” I mutter to myself. Next, per the advice of one of New York’s best seafood chefs, Dave Pasternack, I prepare an arrabbiata sauce, full of hot peppers, garlic, and tomatoes. Then I throw the cleaned squid into the rental-cottage food processor that hailed from the early days of food processing. Pulsed a few times, the squid come out looking truly like ground beef—just whiter and with a pleasant aroma of the sea. “Just cook it a touch,” Pasternack’s voice echoes in my head. I do just that, poaching the meat in the arrabbiata for barely a minute. My friend Katie has landed her sloop and comes to help me finish prepping the sandwiches. She samples and loves the mussels, pronounces the squid “heavenly,” but pauses at the herring filling. “It’s full of bones,” she declares. Which is true. This is why herring is typically canned—the little bones scattered throughout the fillets dissolve in the canning process. “But aside from the bones, what do you think?” I ask. Damn, Chef Moonen was right. Next time, curry mayonnaise. I brush the herring comments aside and set about filling the respective breads with their unusual fillings and transport them all up to the big house where the Yankees await their supper. Uncle Tom scarfs down all three with pleasure in quick succession and says that he feels “like a pelican” and that next time he’s in New York he’ll surely order “the Greenberg special.” Aunt Mary Ellen is patient with the mussels and the squid but pronounces the herring “a little furry.” Aunt Sheila thinks the herring is just fine, and in fact, it reminds her of sardines, which is what they used to call herring back in the days when Maine still had canning plants. Meanwhile, the only non-Yankee of the bunch, Randall—who hails from a land where people are fanatic about sandwiches, New York City’s Staten Island—finds that, if he takes apart the squid sloppy joe and spoons its contents over the herring roll and throws in a mussel or two, he has a very delicious sandwich. His only complaint is that there isn’t quite enough squid. 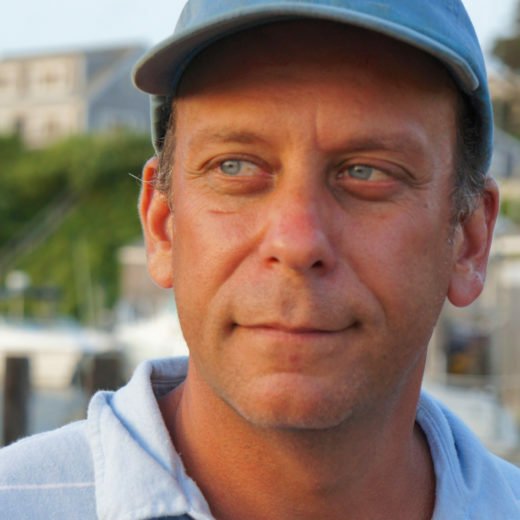 Paul Greenberg is the author of the James Beard Award-winning, New York Times best seller Four Fish and American Catch. He is also a regular contributor to The New York Times and has written for National Geographic, GQ, The Times (of London), and Vogue. He lectures on seafood and the environment around the world. Greenberg is currently a fellow with The Safina Center and a Pew fellow in marine conservation. Cite this Article: Paul Greenberg “A Tale of Three Seafood Sandwiches,” Hakai Magazine, Sep 2, 2015, accessed April 23rd, 2019, https://www.hakaimagazine.com/features/tale-three-seafood-sandwiches/. As stocks of premium fish come under increasing stress from the growing human population, inventive chefs are cooking down the food chain, finding new uses for less-desirable fish. Is this the future of sustainable seafood? This traditional English herring dish offers a taste of cultural heritage—if you can find it.